Tropical island weddings are for those who love nature and wish to gift spectacular memories to themselves and to everyone who made it to their special day. 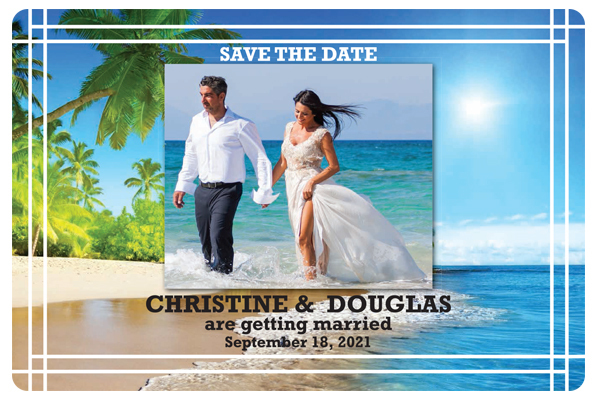 Personalized 4.5 x 3 inch marine tropical romance save the date round corner magnets makes a very perfect wedding reminder and memoir. It often seizes a very larger face time over surfaces where they are affixed. A spectacular and custom 4.5x3 inch marine tropical romance wedding magnet continues to moisten memories for long time and it also makes a good mood fixer, too.